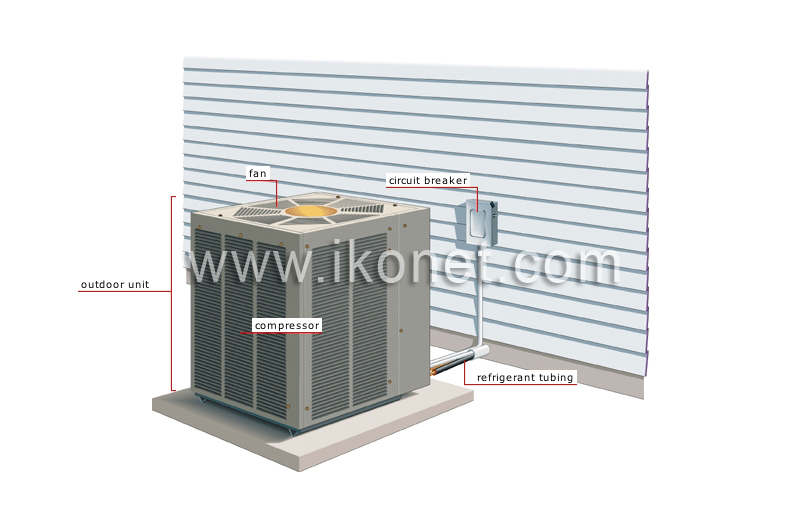 Device compressing the refrigerant to the desired pressure. Propeller-shaped blades drawing in outdoor air (heating mode) or expelling indoor air (cooling mode). Part of the pump in which, depending on the setting, the outside air is tapped (heating mode) or the indoor air is cooled (cooling mode).